DH took me to Paradise Square this weekend, a musical about the free Black and Irish immigrants who lived in the Five Points slum around the Civil War. The show highlighted a forgotten era of early interracial neighbors and friends torn apart by the draft which forced Irish immigrants to fight for the Union while denying American-born Blacks that same choice. The next day I had time to view Freddy Moran's Face the Year at Hello Stitch. Freddy wrote that she became dissatisfied with quilting and considered giving it up until she started making a quilt a day. Fifty-four days later she had a collection of faces, a sampling of which made this exhibit. Pride of place was her original self-portrait: her red glasses, white hair, and bright clothes on a signature background of neutral red. 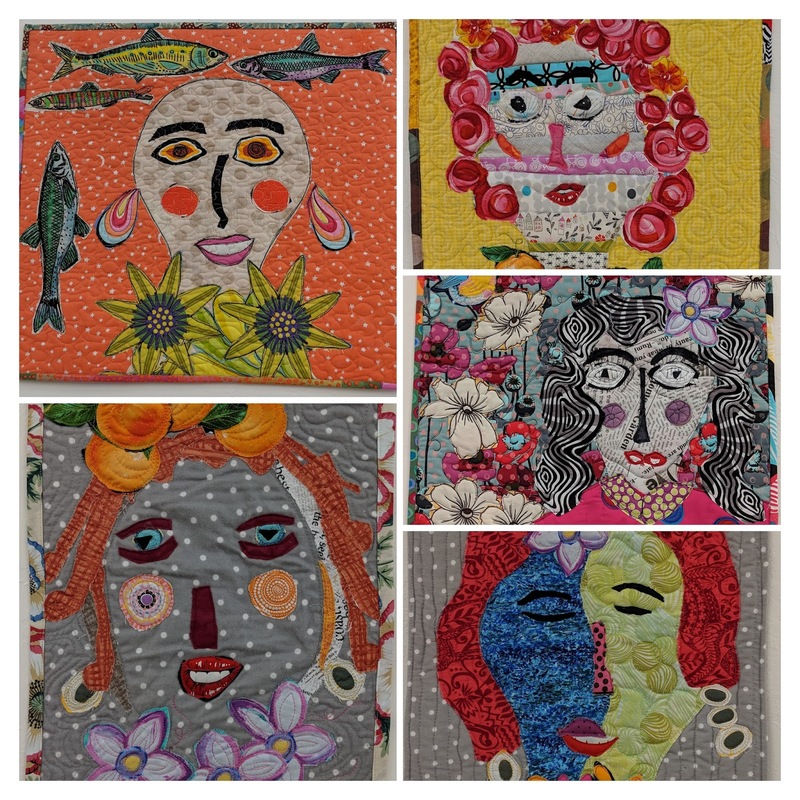 Her new collaged works are much smaller but encompassed unique fabrics for hair as well as frequent additions of flowers and fish. Seeing them together allowed easy comparison of facial features and construction techniques from one strip-pieced face to a minimalistic light- and dark-sided face. Although I should be quilting more of the finished tops, there are only so many I can force myself to power through. I simply had to start a new quilt. I'd taken a break to clean up some photos on my computer and saw this antique quilt I'd saved from eBay. Years ago. Before Pinterest. At first glance it looked like an eight-pointed star on a circle. Then I saw the appliqued flowers that make up the design. Not pieced at all. However, it reminded me of a quilt from my childhood. I only saw it once so I have the haziest memory. All I recall now is that the pieced stars faded into muslin at the endpoints. Similar to this one. Searching through my block references, I found Shadow Star. Practically perfect. This is a compass design based on the eight-pointed star grid. After a few changes, this is what I've come up with. Loads of y-seams. Not for the faint of heart. I can't wait to get started. That is a pretty block! It does look like it is going to be a challenge to sew together. Thanks, Patty. It just takes a bit more time - a nice change from quick stitching. Yes. I like sewing them. They always come out well once your spin the seams. I don't look at eBay much anymore but perhaps I should. It's a good place to see a variety of vintage quilts although the listed provenance is sometimes questionable. At least in my mind. New things do help us maintain the interest level, don't they? Wow - a most colorful post. I love Freddie's self portrait. And love the one you're designing. Ahh -inspiration is so captivating. It was a joy to see that quilt in person. She added lots of beads and colorful threads. Plus, you can see all the details "in detail." Lots to see. Mine is certainly different but I'm enjoying it. Go for it! It will be challenging but that's sometimes just what's called for. Thanks, Kaja. I'm ready to do something different. This should keep me form Coins for a bit. A wonderful idea to start the New Year with, I love it! Freddy's collaged faces made me smile, very clever! I know artists work in series but this was especially interesting. Not all 54 quilts were on exhibit but the 20 were more than we usually see at once. Small changes were visible and I could see here working through ideas. Fascinating approach. You come up with great ideas. It was fun to see her working through different ideas for the features, Robin. Thanks. Oh, what an optical illusion that Shadow Star was until you broke it down so I could see how it was composed. I love it. Good for you to challenge yourself. We should all continue to challenge ourselves once in awhile. 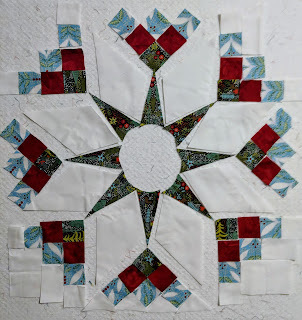 I still save pics of vintage quilts on my computer. I never got used to Pinterest. I have several bookshelves of Irish history books I've collected and read over the years. I don't much care for musicals but I'll bet I'd enjoy Paradise Square. I had a couple of granduncles who emigrated and fought in the civil war. That flower applique tricked me. I spent a while trying to figure out the piecing; it's not. But it reminded me of one I vaguely recall from my childhood - and we know how tricky that can be. I was ready for a big change. This is very traditional but I'm ready to try it. Paradise Square was a fabulous part of American history. It was also the first time I'd seen an off-Broadway show that was actively working on their play. Great singing and dancing and excellent actors but you could see it needs tightening. Oh man! I so understand that! I have to keep starting new quilts when I have a number of them to quilt in my pile already. Se La vie! It's funny how we undercut out vows to finish the tops first. Ha. Freddy is such good inspiration. Change things up if they are getting stale! 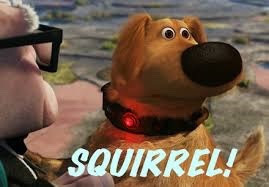 There's always something new to catch our interest! You're so right. 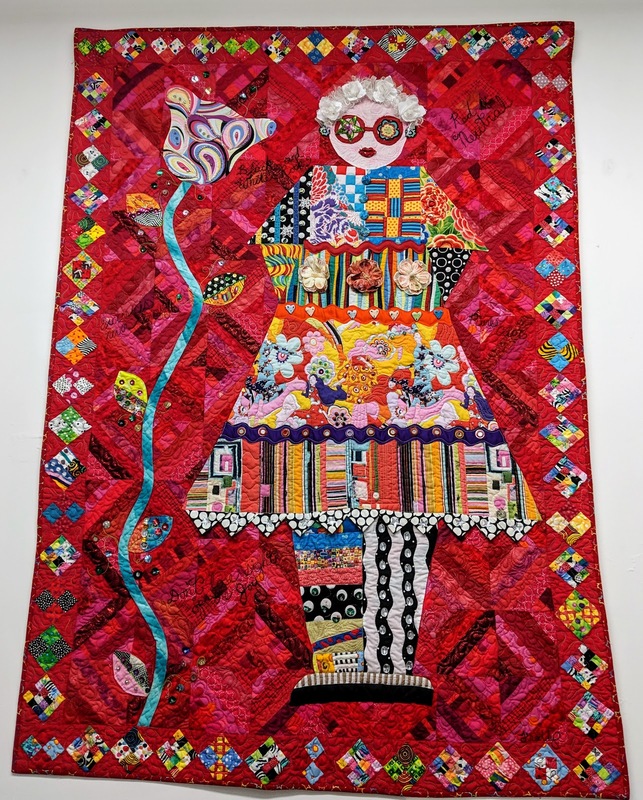 She's made scrap quilts, art quilts, wall and bed quilts. Lots of reds and clear colors but also some amazing soft ones, too. Plus, it's always exciting to see how she uses so many large scale prints. I would love to see that exhibit, but alas. I am a chicken when it comes to y seams. I save photos now even though I also use Pinterest. Sometimes I wish I could just fly around the country/world to all the different shows. In my next life. I used to sew y-seams regularly but have gotten lazy. 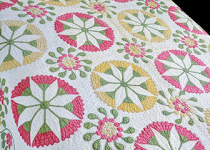 Having a bunch of quilts can be so helpful to pick and choose parts or simply get ideas. Gorgeous new project! Thanks for bringing the faces exhibit to us. You’re welcome. It’s too bad we miss so many shows, isn’t it? 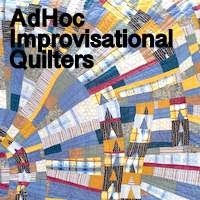 I dream of seeing the quilt show in Tokyo some day. Thank you for showing Freddy's latest works. She reminds us to play like we were children again. I love your take on the antique quilt. Yes, you do need to start something new before finishing everything. One thing fuels the other. There were more in the exhibit but Freddy gave us permission to show her work. It's interesting to watch her quilts progress. A few years ago she switched to collaging but mainly did flowers. This is the next iteration. I know how scary it is to actually make people, so I paid attention to how she created the features. Freddie's work is always inspiring! What I love about her work is her fearless use of red and orange. I agree, Janie. I love seeing her work every time I'm in CA. I am hoping to make it up to check out Freddy's exhibits!! Yikes! All those Y-seams!! Good luck!! I'm amazed at your work, Mel. Always exciting. Would you share in what reference you found this star? It is gorgeous. It's an old newspaper clipping from my cousin. Sorry. Not much information.